How you enjoy christmas and easter on the same day - GDA - Gesamtverband der Aluminiumindustrie e.V. ...is something that Phillipp König and his best friend Lea Pfeiler have discovered. The boy comes back and quickly rams a package wrapped in aluminium foil into his orange swimming bag. He swiftly grabs two pots of his favourite cherry yoghurt from the fridge and sticks them in the side pocket. „See you,“ he cries and in a flash he has disappeared behind the hedge. A short time later he is cycling to the open-air swimming pool alongside Lea Pfeiler, his best friend from next door. They are taking their secret route. The dusty field track, along the edge of the wood. Insects are buzzing. There is the fragrance of flowers and grass in the air. Soon they make their usual stop at the moss-covered tree trunk where it is so good to have a picnic. The boy takes out both yoghurts. They have been shaken up a bit on the bike but the lips of the aluminium foil lid are tightly sealed. Just like their lips are when they do something that no one should know about. 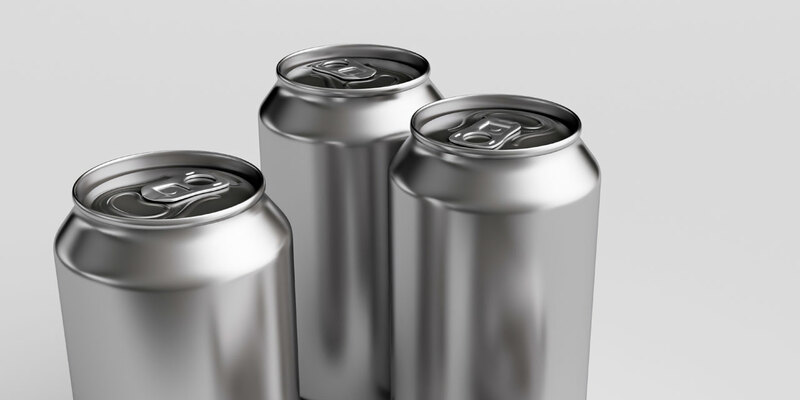 Numerous developments have continually made the beverage can more attractive and – thanks to innovative aluminium alloys – ever lighter. It can be shaped, printed or embossed in a multitude of different ways, with or without interactive QR codes. There are even beverage cans that can be resealed. Can you still eat it? Seeing the empty aluminium foil the girl suddenly has an idea. For some time there has been something else wrapped in aluminium foil at home that she has been keeping for a special day. Why shouldn’t today be that day? Suddenly, the children are in a great hurry to leave. They quickly rush back home and go to Lea’s bedroom. There is a long-cherished collection of items on a shelf. Without further ado they are packed into the rucksack and then off they go to the old beech tree. 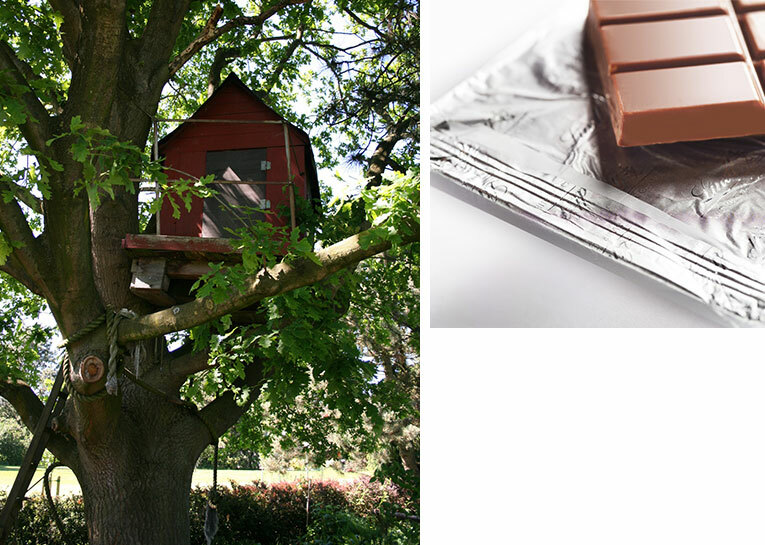 Up the rope ladder and into the tree house. On the fl oor there are a couple of beechnuts that a squirrel forgot last winter. They sweep them away and then they are ready. „Let’s lay them out,“ says the girl. Soon they have a cheerful parade of colourfully clad fi gures and objects. Shiny aluminium costumes cling closely to the chocolate bodies. Christmas and Easter coming together on the same day! In the middle of summer. 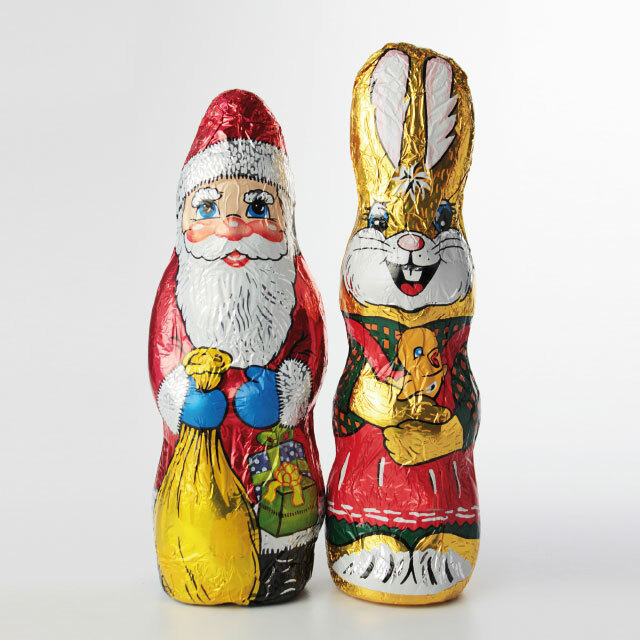 A Santa is smiling at an Easter bunny. The boy has a worried expression on his face. „Do you really think we can eat them?“ The girl beams. „Of course! Why ever not? They’re wrapped in aluminium. I’m sure we could even eat them this time next year. I’ll show you.“ She unwraps the foil from an egg and the egg disappears into her mouth. Now she has a serious look on her face. The boy is aghast. „Is it OK?“ he asks worriedly. She eats the egg with a solemn look on her face. Then she bursts out laughing. „Yes, it tastes great! Come on, have one,“ she cries. Her friend doesn’t wait to be asked twice. A ladybird here, a Santa there. They are all devoured and the shiny aluminium foil is carefully smoothed out fl at, until there are no more creases to be seen. „Oh, I’m already looking forward to Christmas,“ sighs the ten-year-old longingly. Milk and dairy products are some of the most valuable foodstuffs as well as some of the most sensitive. 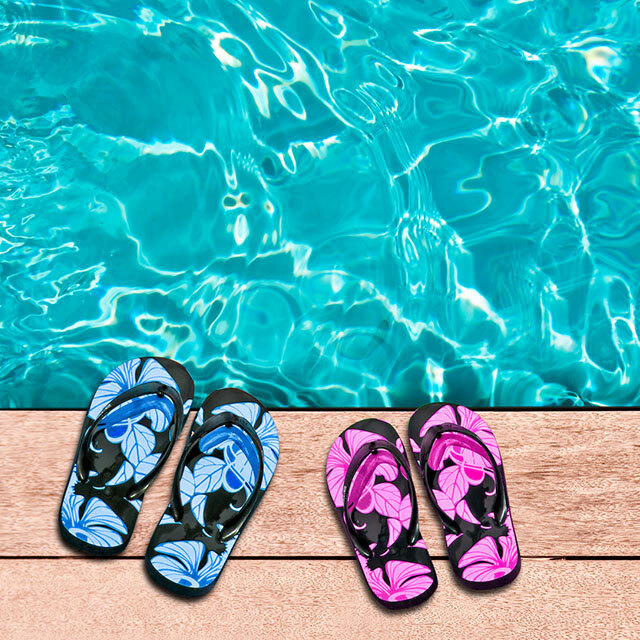 Not only do they require protection against heat, dust and extraneous odours: protecting them against light is also a top priority. Sunlight as well as diffuse day or arti- ficial light can cause oxidation within a very short time and turn dairy products like quark, yoghurt and milk sour. Imper- vious and neutral-tasting aluminium pot lids protect products like these against the ingress of rays of light even in a brightly lit refrigerated display case in the supermarket. As with all other forms of aluminium packaging, attention is also given here to using material as sparingly as possible. Aluminium foil offers complete protection despite its thinness.